Ah, Françoise. Everybody had a crush on her back in the Sixties, that shy, well-bred brunette with those wistful chansons who seemed to spend all her time under her umbrella. One of her most iconic songs was Dans le Monde Entier, issued in 1965, evocating that endless Parisian rainy season once again. Of course future Wombles mastermind Mike Batt, 16 years old then, was also in love with Françoise, and Georgian-British songstress Katie Melua‘s cover of the English version, produced by Batt for her brand new album Secret Symphony, is a recollection of those cloudy days of innocence. Melua captures the mood of the tune just perfectly, though the last line now isn’t the heartbreak threnody of a young girl anymore, but the last echo of young Mike Batt’s clandestine longing: I still love you so. Don’t watch this one if you haven’t seen Tinker, Tailor, Soldier, Spy so far. Or do. However, the brilliant end montage of Tomas Alfredson’s adaptation of the famous John le Carré novel features the full-length version of La Mer by … Julio Iglesias, catapulting the Spanish schmaltz yodeler right into the realm of Supercoolio. One that goes directly to the head. Title track from her last years solo debut ‘Sous Les Arbres’. Video is shot by visual artist Pascal Grandmaison. Simply briljant. Paris-born Pauline de Lassus (credit-spotters: yes, she sings back-up on The National’s Boxer-album) performs under the stage name Mina Tindle. She’s of Spanish heritage, lived in the USA for a while and was part of the bands Toy Fight and The Lime (couldn’t find a link). Last year, her first EP was released and we (yours truly and co-FS-conspirator FransS) saw her perform in Bruxelles, as a support-act to Coeur de Pirate. Highly charming, I even got my EP signed by the beautiful singer afterwards. Her debut-album is out now, and it’s a gem. Two songs in French (see her duet with JP Nataf), one in Spanish, the rest in English. She covered a Caetano Veloso-song in the past, and in some songs you can hear Tropicalia-influences. She loves Dylan and Cohen and Nico, and here I saw her described as a Sufjanienne, for arranging her songs with all kinds of (acoustic) instruments, a nod to Sufjan Stevens of course. Wish she sang more in French, but this is a keeper. Here she duets with Orouni. Same goes for American singer Maia Vidal, whose first album was released last year (sorry, should’ve posted about her earlier). Read her biography on Wikipedia here. And do try her Rancid-coverband Your Kid Sister here. 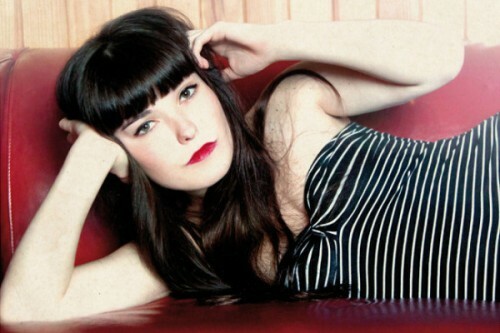 Like Mina Tindle, Maia sings in various languages, mostly English but also in Spanish and in French. On Le Tango de la Femme Abandonnée, Marc Ribot plays guitar. You can listen to various songs on Soundcloud. Back in 2009, La Patère Rose recorded their highly recommended self-titled debut, followed by EP Waikiki in 2010. After that, singer Fanny Bloom (Fanny Grosjean) already announced the end of La Patère Rose and hereby initiated her solo career. 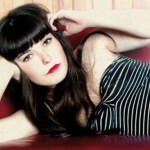 A good choice according to her just released solo debut ‘Apprentie Guerrière’. Fanny grew up. The sometimes somewhat naïve songs of La Patère Rose are replaced by catchy and cheesy synth-pop songs (single Parfait, Parfait) or cheerful Lio-esque tracks like ‘Tes bijoux’. A handful of piano-driven tracks shows her skills for serious melody-rich writing that comes to it’s peak with the stunningly beautiful and emotional ‘Mon Hiver’. A moving song – way too short though – with some weird voice effects in it. Bloom at her absolute best. Apprentie Guerrière is a mature and diverse album that never fails and finishes with a very intimate title track. Bloom shows with this album that she grew in all facets of her writing, but luckily still has her delightful, hoarse voice on top of it. Some things are good as they are. So without any doubt, there is this sentence again: Yearlist material people. 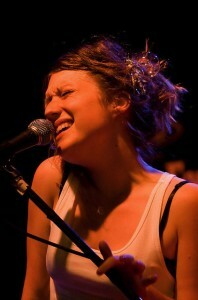 When Elke, the singer of Mary & Me (a band from Gent, Belgium), starts singing, you know you’re lost. You want to take care of this fragile beauty, knowing that she’s more than a handful. That she will make you jump off of cliffs (metaphorically speaking)(you hope), steer you off the beaten track and confront you with sides of yourself you’d never knew you had. Mary & Me make vortex music: hooked instantly, and then there’s no turning back. There are 80s references, the golden days of Belgian wave, the Les Disques du Crépuscule-era. Anna Domino, Allez Allez, Marine. Their second album is out now (link), with all songs in English. But to make it more interesting for FS-regulars, there’s a French EP coming out as well. 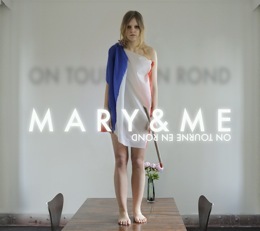 Single We Go Round is out in two versions (English clip, French clip). Of course, we like the French version best. Tourne, tourne, tourne, tourne…. I can almost hear you frown: this FransS guy falls in love too easily. Two weeks ago I declared my love to Soko, and now to yet another darling. My love for Mademoiselle Nineteen’s album. We already spotted Juliette Wathieu (as her real name is) some time ago, and recently saw her sweet video of “Quelle Importance“, and her first album “Mademoiselle Nineteen” (highly original) is just out. The album has the atmosphere we like: great voice, to-the-point-songs, lot of sixties references but it certainly doesn’t sound like a retro copycat. 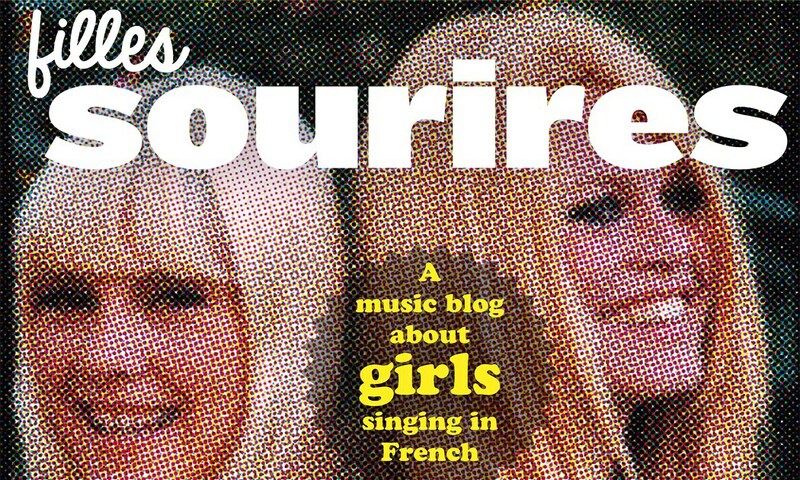 Maybe it is better to state that this is how France Gall would’ve sounded if she wasn’t born in ’47 but in ’91, as Mademoiselle Nineteen is. Some songs have a 70s vibe, like “Je danse dans le noir” (although it includes a wonderful sixties organ). And of course if you sang backing vocals for Lio, you always get extra points from the FS headquarters! Born on Guadaloupe, raised in Canada and blessed with a lovely voice and great features, FM Laeti walked in my life thanks to Dutch Radio6-dj Jaap Boots. When he mentioned she duetted with the new African goddess Fatoumata Diawara, I was sold! The duet, Coco, is a French-Westindian-Malinese culture clash, that works very, very well! Like a cool wind on a hot summer’s day. FM Laeti (the FM is a tribute to the radiowaves, and to ‘different moods’) grew up in a very musical family: ‘My father is a drummer, my step father a classical pianist and my mother an avid music lover. I grew up in quite different places, met a lot of different people, but there was always a lot of music. At home it went from world music, to jazz, to soul and old R&B to classical. With my friends we were always thirsty for new or old musical discoveries from rap, to rock , to folk etc…’, she says in this interview. The rest of her album is all English. Soulful, but not as surprising as this duet. Hope to hear more of that in the future.